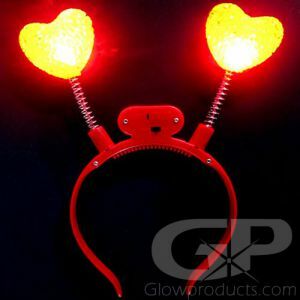 - Fun Glowing Bunny Ears! 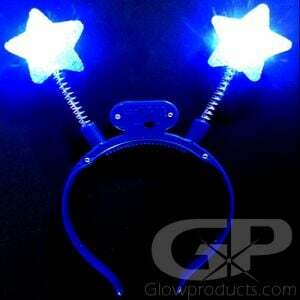 - Make Light Up Bunny Ears, Mouse Ears or Alien Antennae! 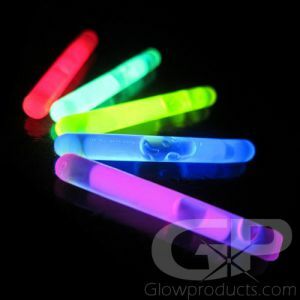 - Connectors can be used to make glow bracelets! 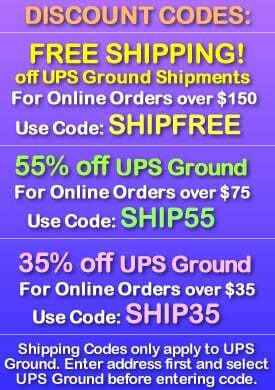 - A great addition to your Glow Easter Egg Hunt! It's time to get hopping and glowing with Glow in the Dark Bunny Ears! We've added an extra pair of 8" glow sticks to our Light Up Bunny Ears Deely Boppers pack, so now instead of 2 glow sticks - you get 4! 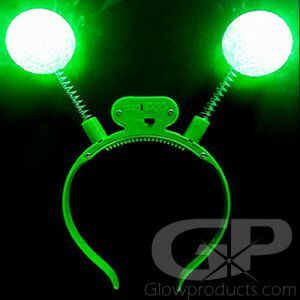 That means bigger bunny ears, but you can also arrange the glow sticks on the glow in the dark bunny ear head boppers into more configurations now - like the Alien Antennae, Bear Ears, Mouse Ears, Princess tiara, or an awesome creation of your own! 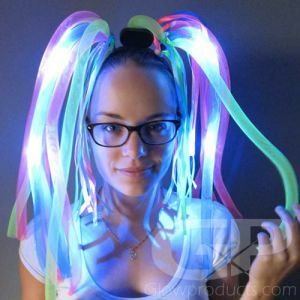 So get creative at your next Easter celebration (these go great with glow in the dark Easter egg hunts), birthday party, school dance, fair or festival with the light up bunny ears headbands! Instructions: Bend the glow sticks just enough to break the internal glass ampoules. Shake well to mix and start the glow. 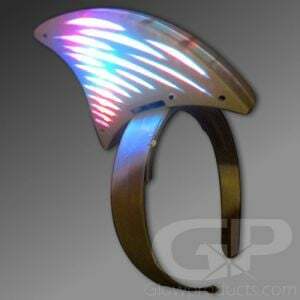 Then arrange the glow sticks on the headband however you want! 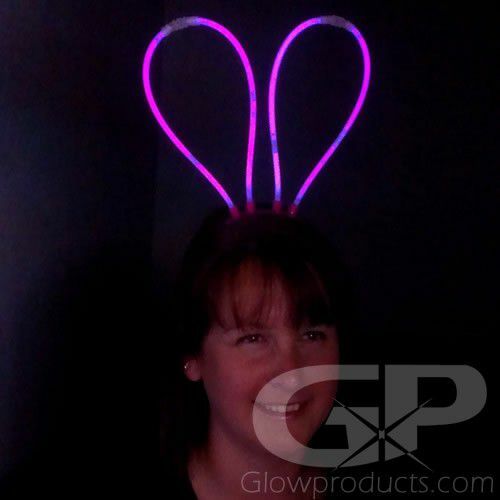 And because our light up bunny ears use glow sticks, they are totally waterproof, so will work outdoors no matter what the weather and are tons of fun at glow in the dark pool parties!